The Owen map of Amlwch port in 1780 shows the presence of the “Amlwch Brewery ” (Brewas Borth) in the square just above the port. The Francis map of 1828 still indicated the location of the large brewery on the square but also indicates that the Marquis of Anglesey had a smaller brewery in Lower Quay street. The Dinorben arms also owned “brewas llan” or the town Brewery. The 1890 OS map shows the Parys brewery located to the South West of the railway station. The larger Amlwch brewery was run by a company from St Helens called Greenalls which is still in the brewery trade today. 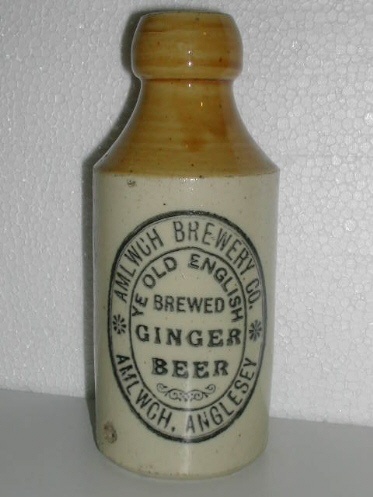 The company also had a mineral water works in Llanelian road and branded its products as “ABC Ale”. The company traded its products as far as Caernarfon. One of it’s drays was amongst the first commercial vehicles to cross the new suspension bridge when it opened in 1826. As far back as 1784 Mr Michael Hughes the younger brother of Reverand Hughes of Llys dulas, the Parys mine owner had become a shareholder. The water for the breweries was drawn from St Eleth’s well which had been an important spa since ancient times. People visited the well to question the oracle in the form of an eel which was able to change shape. In 1823 the Amlwch Brewery Company were selling Cognac Brandy at 25/- per gallon. ale at 45/- per barrel and Amlwch porter at 45/- per barrel. 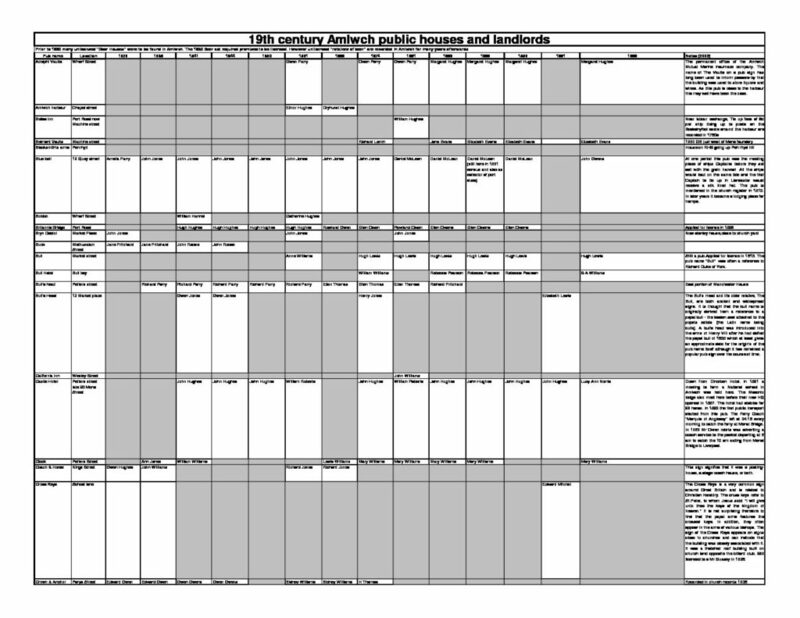 The breweries supplied the 21 taverns recorded in the area in 1828. In some cases, the taverns were little more than a front room of a house adapted for public use. These were often run by the widows of sea man who had to open up their house to make a living. The beer act of 1830 resulted in the closing down of many of these ale houses and the establishment of licensed premises. 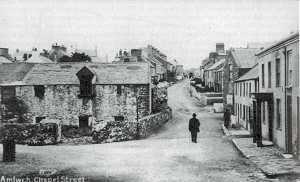 By the end of the 19th century over 70 licensed pubs or “Beer houses” were in existence in Amlwch. Robert Roberts, “Y Sgolor Mawr” described Amlwch port in the 1850s. 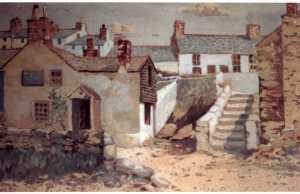 “a busy port, full of ships, and the smell of sulphuric smoke from the smelting works; numerous public houses around the port, and seamen, shipwrights and hobblers drinking Amlwch Brewery beer (or Greenalls, the company from St.Helens which has been there since 1786), and chewing Amlwch shag tobacco and at least seven pugilistic encounters in the street between old Mrs. Roose’s pub and Roberts’ lodging house”.